This modern cold-molded schooner was launched in the summer of 2007 for a repeat customer. 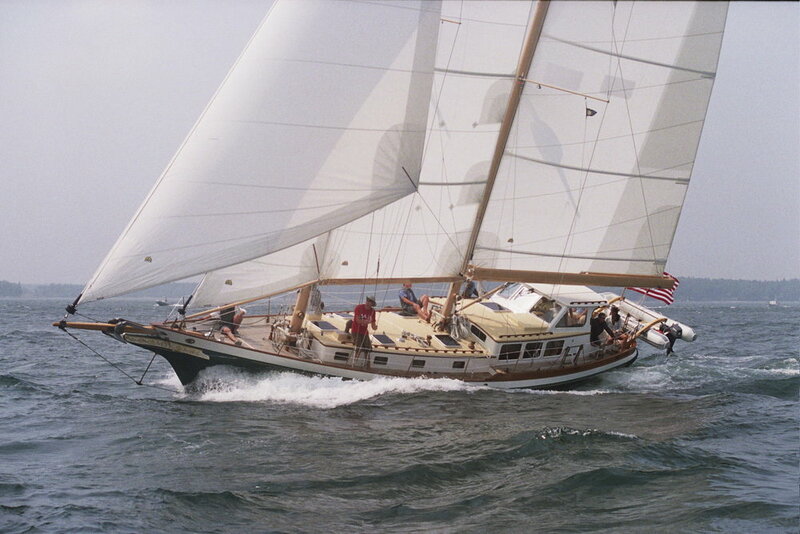 Drawn by Niels Helleberg, chief designer at the John G. Alden office in Boston, she incorporates many modern materials and construction methods while keeping with John Alden's ideals of a good cruising schooner. She has two state rooms, two heads with showers, a full galley and a salon. The salon sits in a dog house with full panoramic views. All carvings, inlays and joining work done in-house. Teak, mahogany, lacewood, and oak were all used in the interior.